Promising youngster Josh McEachran is adamant he sees a future for himself at the club, despite the competition for places under Andre Villas-Boas. McEachran is one of the most highly-rated young talents in England, and has been earmarked as the potential long-term successor to Frank Lampard for both club and country. 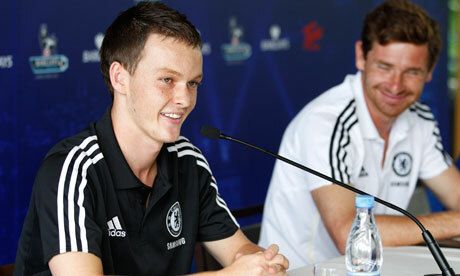 Only eighteen, McEachran has already made seventeen appearances for the Chelsea first-team, but while he was promised opportunites at the start of the season (and featured heavily during pre-season), he is yet to make an appearance. Many have suggested that McEachran would be better off spending a couple of seasons on loan, where he would get to play regular first-team football, and the England youth international admits he has considered that option. "I did ask to go out on loan at the start of the season," McEachran revealed to The Sun. "But Andre said he wants me to stay because he thinks I will get enough games here. I saw in the paper that Fabio Capello wanted me to go on loan to get more experience, but Andre is my manager and if he wanted me to go on loan, that's what I'd do. It's not going to happen before the transfer window closes next week, but maybe it could happen in the new year." He made his debut under Carlo Ancelotti in a Champions League tie last season against MSK Zilina, but failed to feature in many of Chelsea's crunch fixtures. However, the young playmaker insists he holds no grudge against his former manager, although he does feel he could have contributed at the business end of last season. "It was a frustrating time for me. The team was going through a difficult spell and I wanted to contribute. But Carlo was under a lot of pressure and I can see why he preferred to use the experienced players rather than the likes of me. When you're at a club as big as Chelsea, you're always competing for a place in the team against world-class players, so you know you have to be on their level just to get a game."